Experience preventive fire protection at it's best! Innovations, knowledge-sharing and live action, all that awaits you at FeuerTrutz 2019 - International Trade Fair with Congress for Preventive Fire Protection - from 20 - 21 February 2019 at the exhibition centre Nuremberg. Visit FeuerTrutz - Europe‘s leading trade fair for active, passive and organizational fire protection. The only event that brings this unique and exciting combination together under one roof! Experience brandnew innovations, discuss and share your knowledge with more than 300 exhibitors and 8.300 experts from around the world! Look forward to an inspiring supporting programme: Top-class speakers in the Exhibitor Forums (for the first time with English presentations), exciting in- & outdoor demonstrations at the Fire Protection EXPERIENCE, education and training providers at the Training & Career Meeting Point, as well as the Job Board. An additional highlight is the parallel held Fire Protection Congress and Compact Seminars organized by the FeuerTrutz Network. 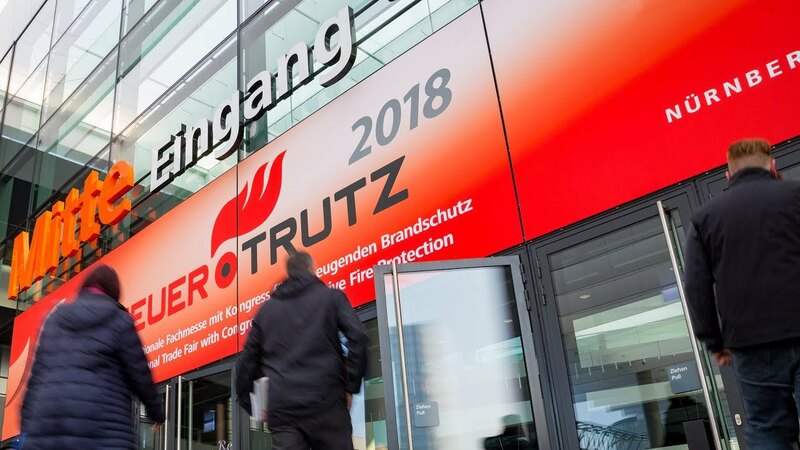 Secure your ticket for FeuerTrutz 2019 - leading international trade fair for preventive fire protection! Various competitions will illustrate what is already possible today and exciting lectures will take a visionary outlook at the future. Find exactly what you are looking for! All exhibitors and their location in the halls. We will provide you with the latest news regarding events on the market or in the exhibition halls. How to get to Nuremberg: whether you are travelling by car, train or plane – this is how you can get to FeuerTrutz easily and conveniently. Plan your visit! We will inform you about tickets, your registration as a trade fair visitor, supporting program, services at the exhibition venue and much more. The trade fair at the exbition center Nuremberg: See how successful the FeuerTrutz 2018 was.